Captured in Hawaii, Big Island. 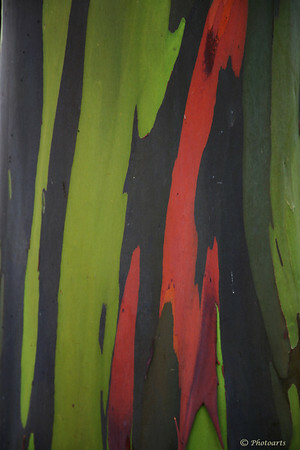 The bark makes a wonderful subject for such abstracts. Beautiful colors! Isn't eucalyptus amazing? Thanks for your comments! Nice detail and colours... well seen!